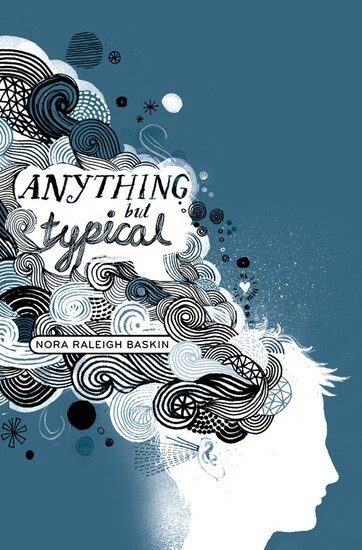 In the story " Anything but Typical" by Nora Raleigh Baskin, the main character, Jason is an autistic 12 year old with a bright future. It is not till later in the story that he discovers his great ability to write stories. Jason joined a website called " Storyboard" where he met a girl he meet, her name was Rebecca. Jason loves writing, it states this in the text when it says that, "I can wait to go check my story boards website" almost everyday on the way home from school. I also figured out that Jason really likes the girl he meet on the website because he would alway wonder if she wrote comments on his stories, she always loved them. In conclusion Jason his a creative young boy with a great future a head of him. I think that the two most important literary elements are the characters and the plot. I think this because of how the way Jason got more confident and because of the relationship between him and Rebecca. The characters are a crucial part of the story because if it weren't for Rebecca, the story wouldn't be half as long as it was, she played a major roll in the story. I also picked the plot because the story is in chronological order and it shows how Jason gets enough enough confidence in himself until he goes to the convention to meet Rebecca in person. These elements really made me enjoy the story more than I would have if they weren't there. I would absolutely recommend this book to people of any age because it is such an easy read. Al though this is an easy book to read and understand, it is probably one of my favorite books. I like this book because the characters play huge roles in the story and I enjoy learning about new characters while I read. I would give this book a 9 out of 10 rating. I gave it a 8 out of 10 rating because it may me a little too easy for me so I would get board every once in a while, but other than that, I would say that this story had no faults and the author did a really good job! In this picture the boy's mom is talking to him to build up his confidence, very much like how Jason's mom encourages him to write stories. In this picture the boy is writing a story, just like how Jason wrote stories after he found his passion for writing. In the picture the boy is typing a story, similar to how Jason typed stories and sent them to a girl, Rebecca, he meet on the website. CLICK BELOW TO ORDER THIS GREAT BOOK!!!! !